Sick of being told you should be swerving Starbucks, binning Ben & Jerry’s and switching cocktails for coconut water? Then how does the idea of eating clean(ish) without giving up lattes, ice cream or rum grab you? 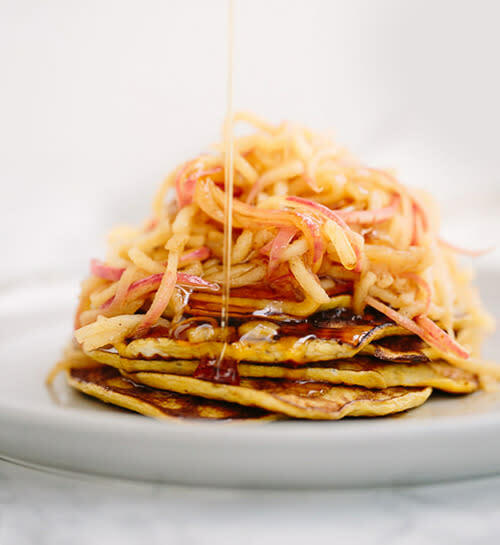 These five healthy eating hacks not only pack mega nutritional benefits but will get you saving time as well as calories (who knew you could make a two ingredient pancake?). The best bit, though? Taste-wise, I’d swear a couple might actually improve on the originals. Cauliflower is packed with brain, heart and digestive health-boosting nutrients - it’s even thought to help prevent cancer. Oh, and a single serving contains a measly 40 calories, versus 200 for a small serving of white rice. The process is gobsmackingly simple - honest. Just break your cauliflower into florets (one ‘head’ serves approx. 4 people), then pop them, a few at a time, into a food processor (try the Bosch Mini Chopper). Blitz for a few seconds, until the results resemble rice. Spread over a baking tray and bake at 220°C for 10-15 minutes, tossing halfway through, until just beginning to brown. Top Tip: Cauliflower rice can be a teeny bit bland as is, but works brilliantly with curries, chillies and anything saucy. Try a cauliflower-broccoli mixture if you fancy mixing it up a bit. A tall Starbucks chai latte made with whole milk packs 200 calories and 32g sugar - that’s your entire daily allowance. Vegan or not, switching cow’s milk for (unsweetened) nut milk and sugar for agave, honey or maple syrup will save you 50 calories and a whopping 23g sugar. And it’ll taste just as good, if not better - promise. Blend a mugful of organic almond milk with a quarter of a teaspoon of ground cinnamon, a couple of pinches of ground cardamom and a quarter of a teaspoon of ginger (the blending gives it that frothy ‘latte’ feel). Transfer the mixture to a saucepan, add a tablespoon and a half of agave, raw honey or maple syrup and cook over a low heat. When it’s just beginning to bubble, drop in a Darjeeling tea bag - let it steep for a minute before discarding. 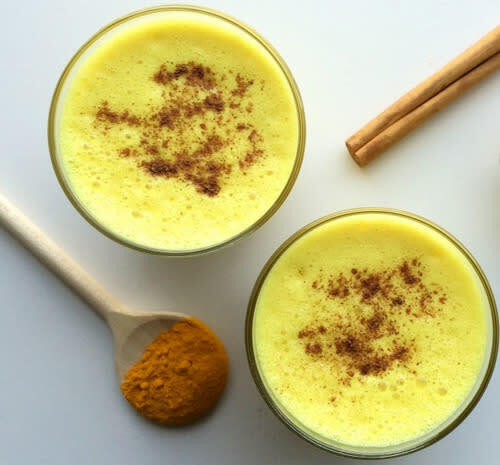 Top Tip: Stir in a teaspoon or two of turmeric, chased with a sprinkling of black pepper, to transform your latte from tasty treat to superfood powerhouse (and turn it a pretty yellow shade while you’re at it). That sad little banana slowly turning black at the bottom of your fruit bowl? That’s a third of your recommended daily intake of vitamin B6 right there, not to mention one of the most effective natural dopamine boosters around. But never fear. If you have a couple of eggs handy, you can turn it into pancakes. Seriously good pancakes at that. Beat the eggs, mash the banana and mix together. Heat a little coconut oil in a frying pan, ladle in the mixture a couple of tablespoons at a time and you’re all set! Fry for a few minutes on each side until golden. A scoop of Ben & Jerry’s Peanut Butter Cup ice cream clocks up 280 calories and 19g fat. 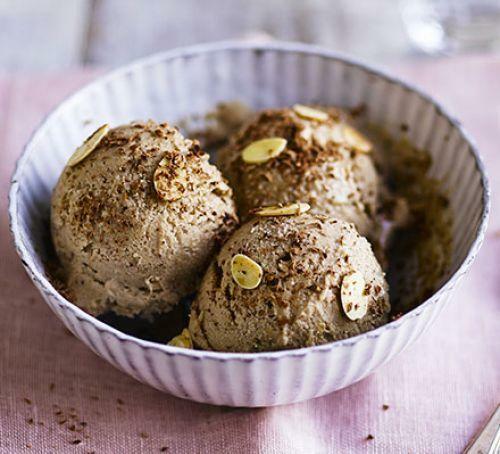 But this clever, vegan-friendly almond milk, peanut butter and frozen banana-based recipe from BBC Good Food wipes 100 calories and 13g fat off the tally. And it’s virtually foolproof. Best stock up on those bananas, eh? Top Tip: Can’t wait? Booja Booja makes incred organic vegan ice cream - it’s totally free of refined sugar and Coconut Hullabaloo is EVERYTHING. The average mojito packs 240 calories and 25g sugar (yep, that’s almost your entire daily allowance). 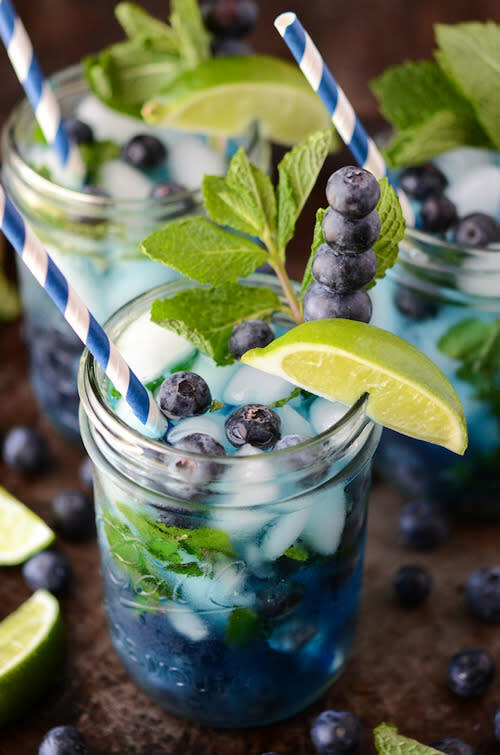 But you can give your favourite cocktail an antioxidant boost by mixing a cupful of blended blueberries in with your soda base - and ease your conscience by switching refined sugar for a teaspoonful of coconut sugar or agave syrup. Throw in a few extra blueberries along with your fresh mint leaves, a bit of lime juice and - yes - that cheeky shot of rum, before shaking with ice. Top Tip: Feeling lazy? Twisted Halo’s pre-mixed sugar-free cocktails are another nearly guilt-free option. A combination of coconut water, ginger and premium vodka, they come in at just 90 calories a bottle.